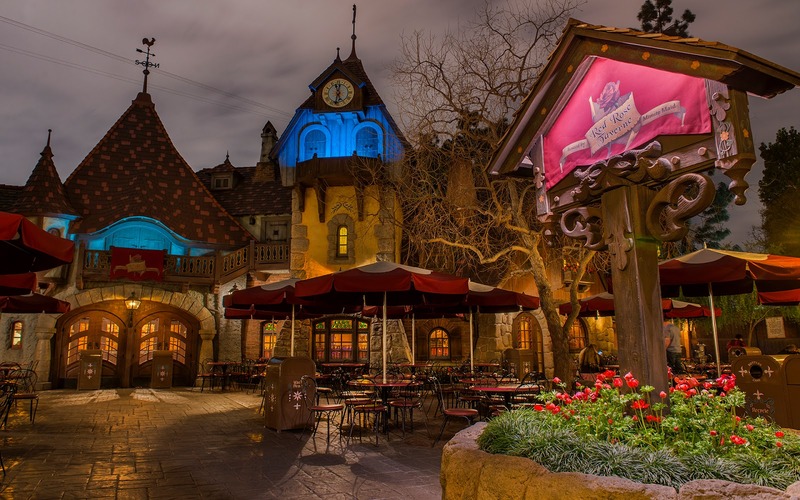 This past Friday, the Village Haus restaurant in Fantasyland was transformed into the Red Rose Taverne as part of a "limited time experience" at the Disneyland Resort tying in promotion for the upcoming live-action Beauty and the Beast movie. The changes are nothing extravagant and mostly amount of furnishings to mask the regular Pinocchio theme with something from a "poor provincial town," but they're effective and efficient. There's also a new menu with dishes inspired by the franchise. It's pretty cool, and the food looks great. Best of all, the little makeover gives me an excuse to photograph the exterior late at night. 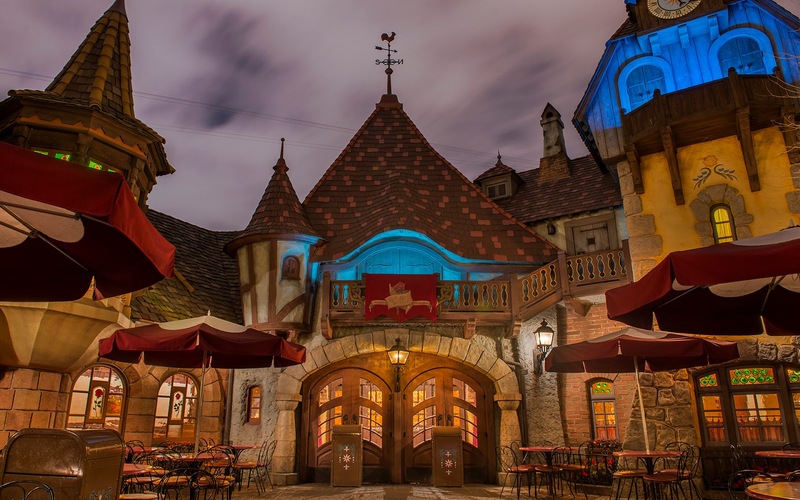 As you can see the charm of the Germanic village translates well into a French motif!